A somewhat shy and rather inappropriate modern conservatory can be seen peeping around the corner. 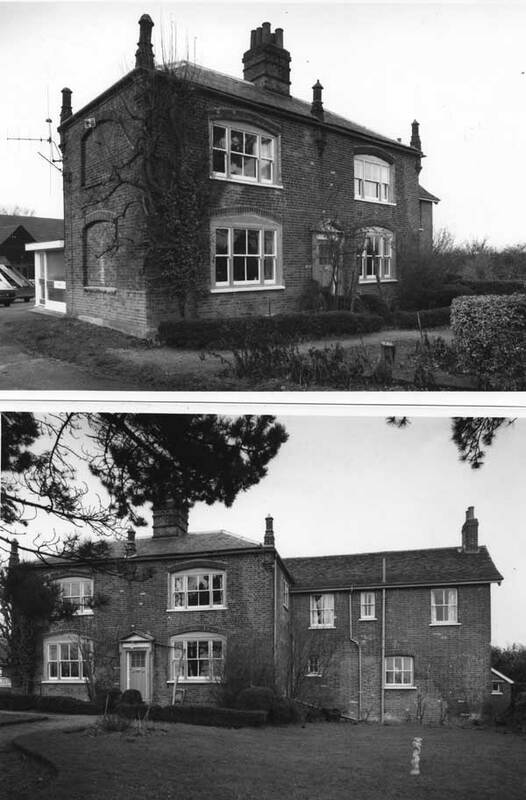 On the bottom photograph the front elevation is shown with what could be a somewhat later large side addition. 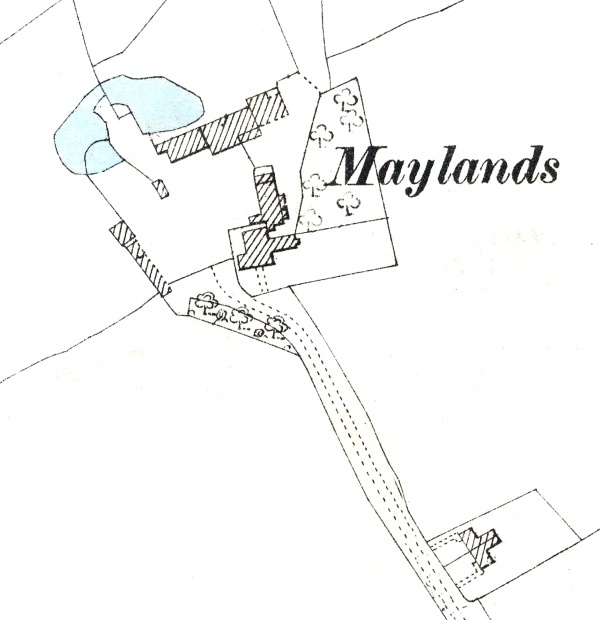 Today (2004) the extensive old farm buildings are the headquarters of The Maylands golf club and they include an Italian Restaurant. Containing : Five Bed Rooms, Bath Room, hot and cold water. Lavatory Basin and W,C, Dinning Room, Drawing Room, Breakfast Room, Kitchen, Larder, Pantry, Cellar and detached Wood and Coal Sheds. Comprising : Two-stall Nag Stable and Harness Room, Cart Horse Stable for Six, with Loft and Lean-to Hen House, Cow Stall accommodation for 44 Cows (including Cow Shed which has been converted by the Tenant into Loose Boxes and which he is under Agreement to return to its original condition if required to do so by an incoming Tenant), Coach House, Granary, large Barn used for Fodder or Mixing Room with Loft over, Lean-to Grain Pit, and Loose Box and large Waggon Lodge, together with Barn and open Sheds in Field No. 183. A PAIR Of EXCELLENT COTTAGES. Which each contain Three Bed Rooms, Sitting Room, Larder and Wash House, Wood and Coal Lodges and W. C.
The Outgoings : Tithe Rent Charge (Commuted Amount) £55 : 2s : 8d. The Land Tax is Redeemed. 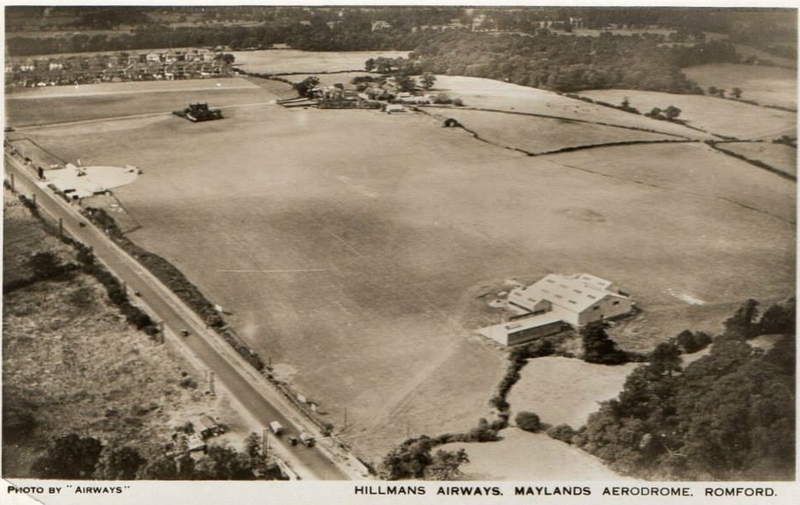 Maylands Aerodrome in about 1935, the hangars in the foreground look new. 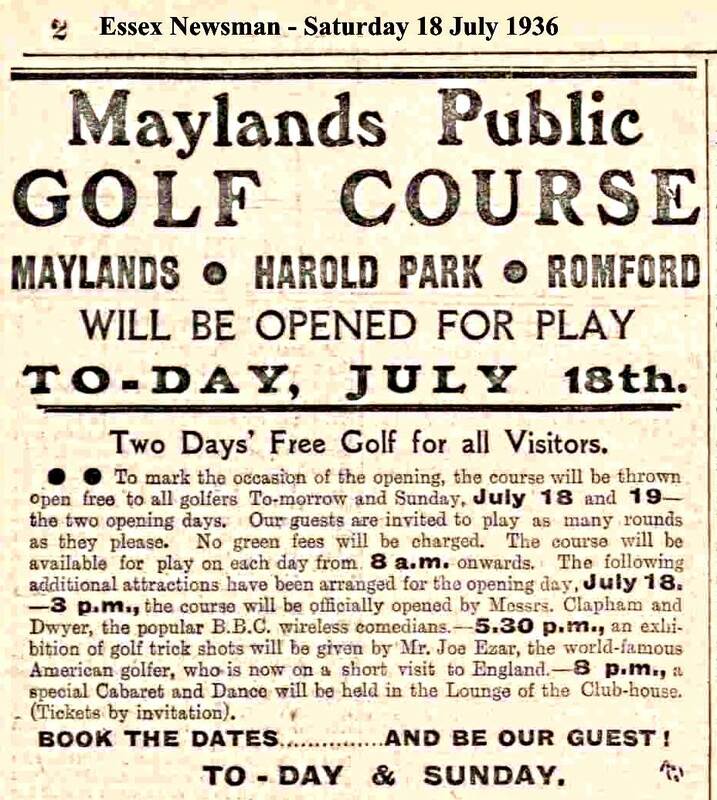 In the background Maylands Farm (The Golf Club opened in 1936 ) The two cottages on the track to the club from the A12 were badly damaged by a parachute bomb during WW2. They were replaced after the war. Alongside the A12 on the left of the picture is the control tower and some offices. The Hangars in the foreground containing eight aircraft were destroyed in a catastrophic fire in 1940 and the airport was never used again. In the distance at the left hand top corner can be seen the houses of Kenilworth and Woodstock Avenues. 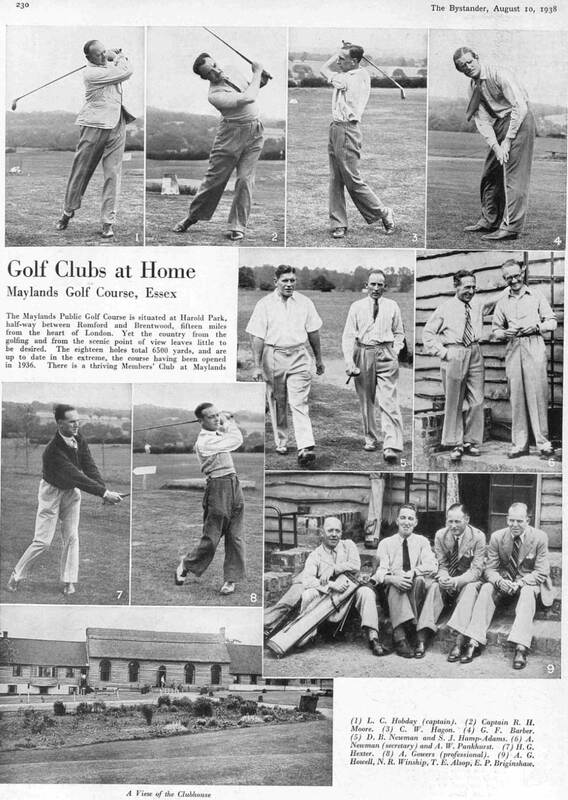 Thanks to Ken Lynn for bringing this UK aerodrome site to my attention. It has an interesting and detailed account of the aerodrome.